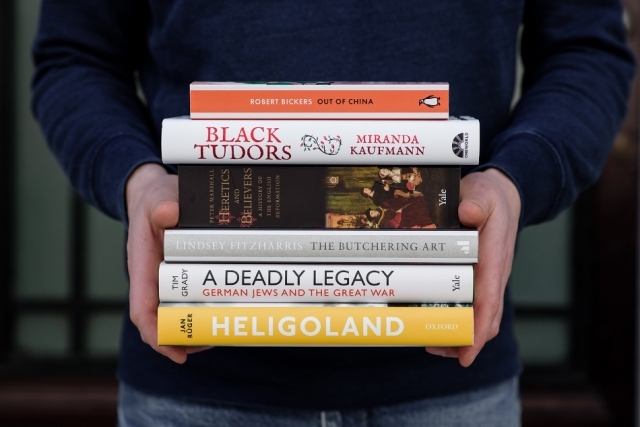 Six books are in the running for the Wolfson History Prize 2018, each selected for their outstanding historical writing that is also accessible to a general audience. The overall winner will be announced on Monday 4 June at a reception at Claridge’s in London. The winner will receive £40,000 and each of the shortlisted authors will receive £4,000. The shortlist was selected by a panel of four eminent historians. Professor Carole Hillenbrand, an expert on Islamic history and Professor at the Universities of Edinburgh and St Andrews, joined the judging panel this year alongside Sir David Cannadine (Chair), Sir Richard Evans and Professor Sir Diarmaid MacCulloch. The Prize was established in 1972 and celebrates books which combine excellence in historical research with readability for a general audience.